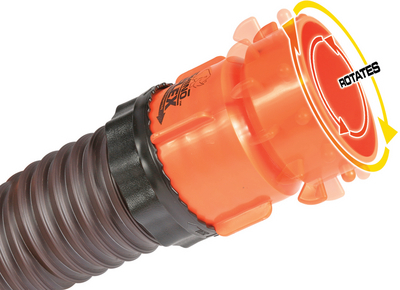 Allows you to connect your RhinoFLEX hose to any sewer hose that has a bayonet fitting. Reusable locking ring provides a secure odortight connection without hose clamps. Stores in 4" bumper. Patent pending.